1. 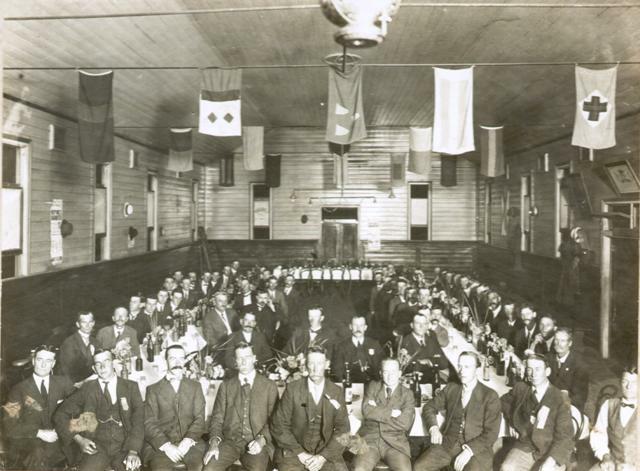 These gentlemen are attending a meeting in the Blacktown School of Arts in the 1920s. 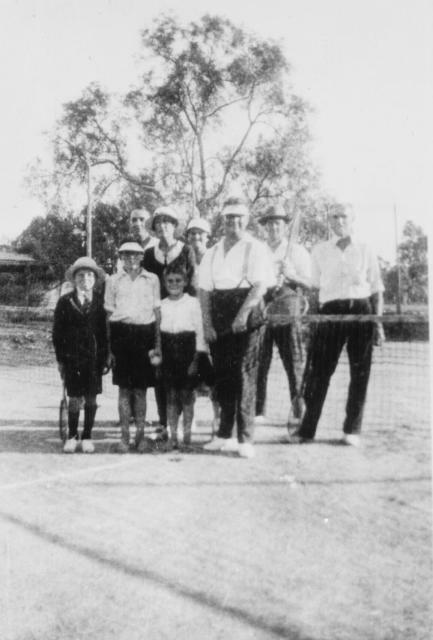 In the front row are a couple of Shire Presidents – Arthur Francis (2nd from left) and George Lalor (centre). 2. 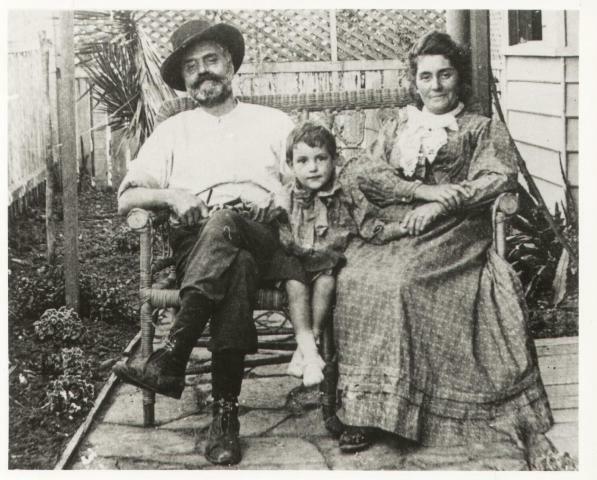 The Tscherne family at home, Blacktown in 1914. 3. Anyone for tennis? This group are ready to take on all comers, no matter what your age. 4. 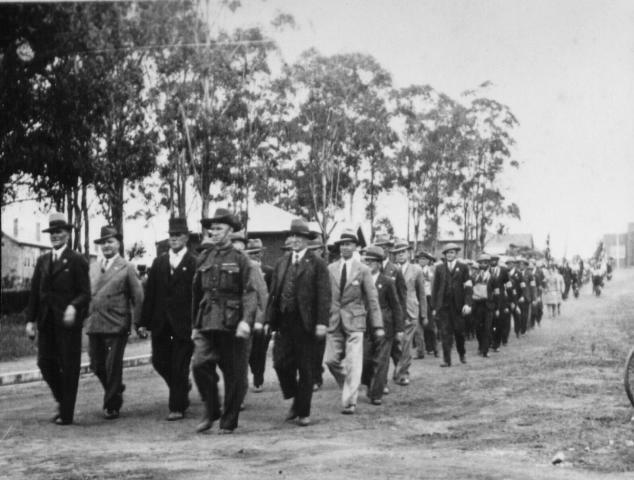 Anzac Day march, Alpha Street Blacktown, in the 1940s. 5. 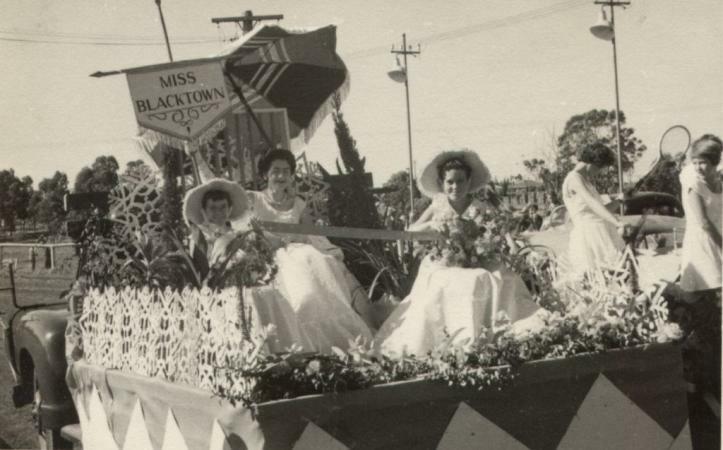 To celebrate the coronation of Queen Elizabeth II in 1953, the people of Blacktown held a parade, featuring their very own “Miss Blacktown” on a float. 6. 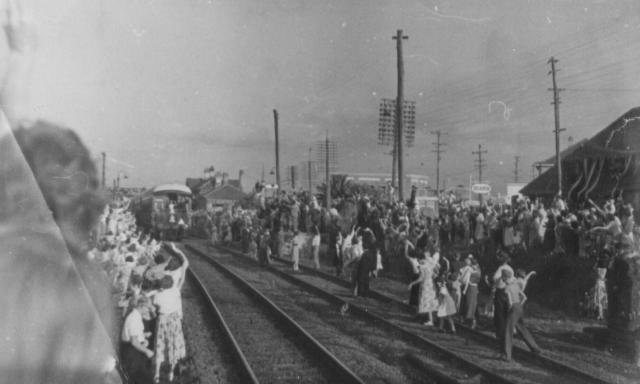 Queen Elizabeth II fleetingly visited Blacktown on her Australian tour in 1954 – she can just be seen waving from the back of the train on her way to Sydney. 7. 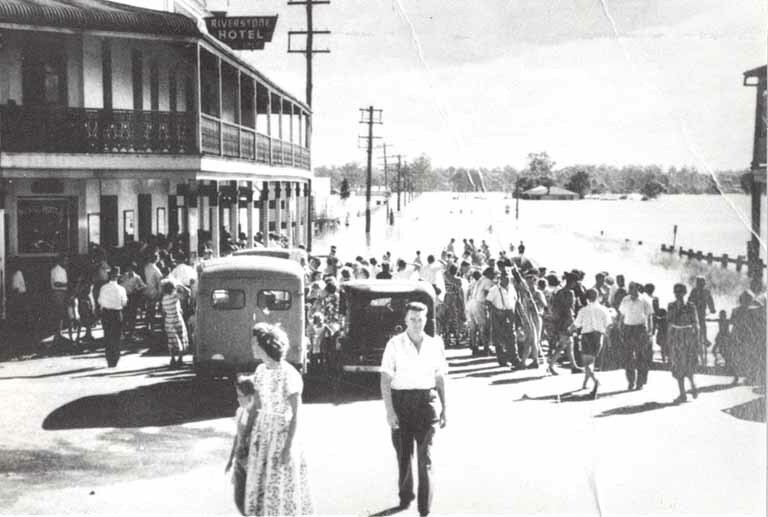 One of the floods in Riverstone during the 1950s. 8. 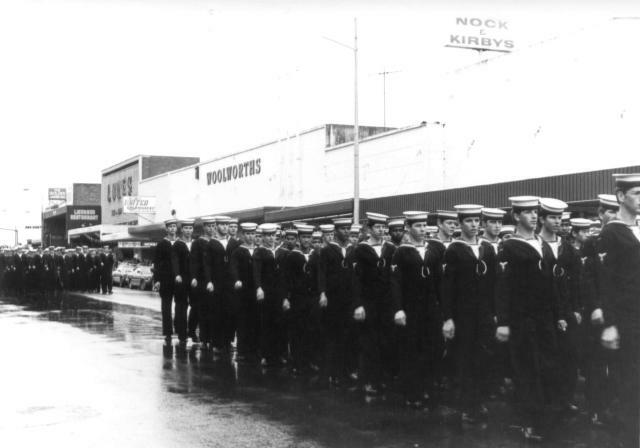 HMAS Nirimba was a naval base for apprentices at Quakers Hill. In 1979 In recognition of their long association with the area, Blacktown City Council awarded the base Freedom of the City. On September 28 1979, the personnel from the base marched into the City, exercising their right of entry. 9. 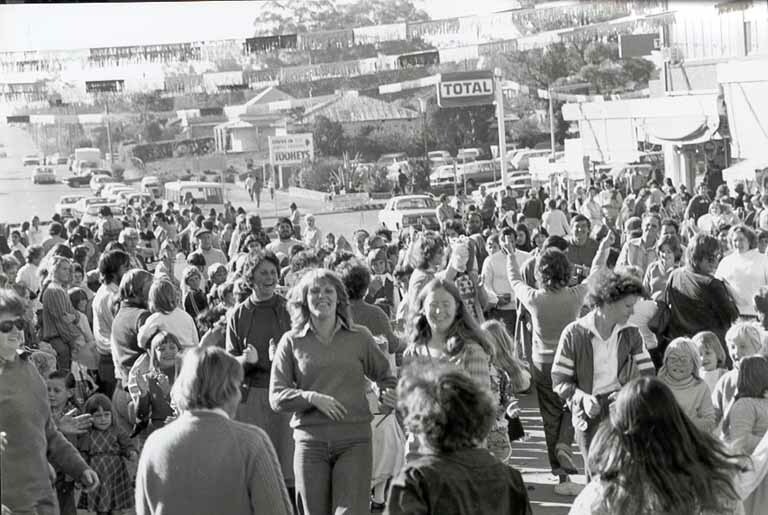 Doonside's first festival was held in July 1980. Residents supported the festival in droves, filling the village centre. 10. 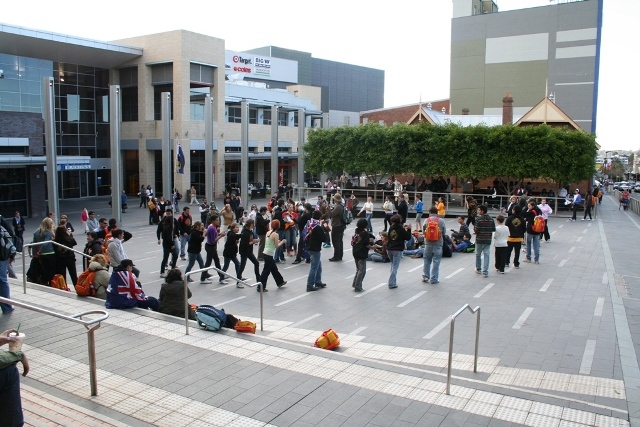 World Youth Day was celebrated in Sydney July 15 – 20 2008. Pilgrims celebrated their religion with impromptu gatherings - a group of youngsters sang and danced in the square beside the Max Webber Library before making their ways home.